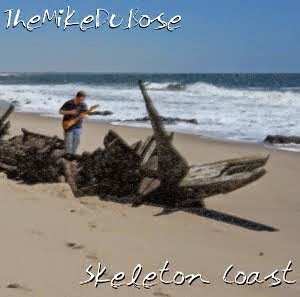 I am proud to announce that TheMikeDuBose the blog has increased our circulation. Two more sites have linked to us, bringing the total up to...two, I think. Meredith Guthrie's blog is one of them (it's been linked up on the right for a while), and my former colleague and Slobberbone fan-turned divinity student Brian Bork's blog Headful of Sermons (which I've just added to the list). I hope one day to break into the double digits, reader-wise. Singer-songwriter described as "the love child of Kurt Cobain and Lucinda Williams." Dark, introspective lyrics are perfect for post-breakup listening. So melodic that you can sob and sing along at the same time. Think Steve Earle, Elliott Smith, Bob Mould, Son Volt, and Neil Young. It did have a link to his homepage, but that link went to (for some strange reason) Microsoft.com. Amazon didn't have any of his albums. Hmmmm...did I stumble across a tear in the space/time continuum that leads to another dimension? It does sound like it could be a version of me. Is this the non-academic alternate dimension me? 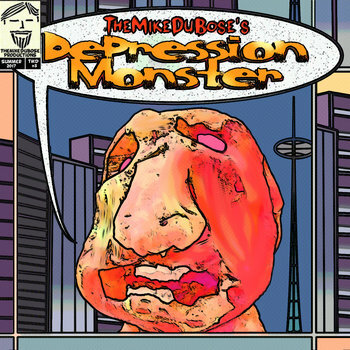 Contact me if you see this, you other Mike DuBose...you brave man, you. At first, this did nothing for me, and that was mostly due to "In the Jailhouse Now." I love Aimee, but this song is a stinker. It's very "by the numbers" and sounds like Ms. Mann and company have fallen into formula. Luckily, however, I have given this album another chance. Pretty much everything else rocks! Aimee has rediscovered mid/uptempo songwriting! "Going through the Motions" couldn't be catchier, and "Little Bombs" is possibly one of the most devastating songs I've heard in ages. This album definitely has legs. I wanted to like this, I really did. Son Volt returns and Jay Farrar remembers how to rock...it sounds like a brilliant combination. And there is a lot to love here: "Jet Pilot" is biting and crushing, "Atmosphere" is catchier than it should be, and "Bandages and Scars" gets the blood racing. Alas, there are also a lot of dogs here. "Ipacac" has a weak chorus and suffers from "let me throw in a big, vague word so I look smart" syndrome, and "Medication" is a low rent version of "Vitamins" from Jay's first solo album, sans a decent chorus. This album does give the impression that Jay has forgotten how to write choruses. Plus, the dual disk format is extremely annoying. The album of the year so far. Damn, this is good. It is also very country. I seem to be listening to more country stuff. Is there something wrong with me? Am I just getting older? Caitlin and Thad have tremendous chemistry. Too many highlights to list, but "Something Less than Something More" and "Waiting on June" are possibly perfect songs. If there was more country that was this good, I would go full-bore and forget rock ever existed. Awesome stoner metal. Who could ignore the catchy chorus of "10001110101?" Plus, the first song mentions both REO Speedwagon and Dokken! This is very hard, heavy and much less monotonous than I was expecting, especially since every song is in the same key and tempo. The best heavy thing I've gotten in ages. A fellow academic and blogger is doing a survey on academic blogging on her blog. Drop by and drop her a line. ...but it has tremendous capacity! For those of you who know me, this probably comes as very little of a suprise. But, in the spirit of full disclosure, I feel the need to come public with the revelation. Besides, isn't admitting it the first step? When my niece Clare was younger (you know, when they're at the age where they don't get the idea of editing themselves) and I would be riding with my sister, I would often hear her exclaim from the back seat "Uncle Mike, you got a big head"...which of course led to frequent chuckling on everyone's part...except mine...I instead cried gently. Having a big head isn't all it's cracked up to be. Sure, it attracts the chicks...my wife was telling me the other day that the sheer size of my melon was what first set her heart all aflutter...but you face other difficulties. Guys, driven to sheer envy by the inadequacy of their own skulls, used to beat me up on an hourly basis, and my head provided a big target. And since my head is so large, I have chronic neck and shoulder pain. It's also difficult finding hats. One size fits all? That phrase is a conspiracy set forth by those with smaller brainpans. Their sheer jealousy causes them to produce shoddy wares that cannot breach my head's circumference. My inability to wear a hat is the only thing that stops me from emulating those mightiest of heroes, the frat boys...the blackballing bastards who wouldn't let me join their club, only because of their jealously over my head size (although, looking back on it, going to a commuter campus might have also been a contributing factor). In a desperate attempt to at least look semi-normal, I thought about getting a fitted hat. I found a web site that told how to measure one's head. So, after gently closing my office door to avoid prying eyes, I broke out my Craftsman retractable tape measure and wrapped the crinkling metal band around my head. None of you will be shocked to learn I literally measured off the charts...I estimate an 8 1/2. So I looked for a large (technically, an XXXL) hat online. There were none for my alma mater. There were none for my place of employment. There were none for my favorite football team. What I need here is a reputable head diet. And pray to whatever powers that be that I never get encephalitis...the resulting head would blot out the sun. So, you were wondering how the weekend was? I got sunburnt at Black Swamp. The festival itself was great, and Lori and I bought our first festival artwork...a cool collage I call "Dinosaur Lady." We ate there twice. My fave festival food was the Thai stand...chicken on a stick! On the down side, the cajun place still has fried gator, but it's no longer on a stick...you have to buy a platter, and half the fun was eating it off a stick. Bastards. I was a little underwhelmed by the music selection. Friday's acts just sucked, and we saw one person...who was with females and didn't want to hang with a couple. Saturday, in the afternoon (when we were volunteering), we saw two people we knew, but they just mumbled and went on their way. There was one good country act. We went back Saturday night for Chuck Prophet, who was a hell of a guitar player...unfortunately, his songs only really matched his playing 15% of the time. Again saw no one. Sunday, stayed in and went for TOTAL FOOTBALL IMMERSION. how sad is my ego? I just got spammed in my comments! Someone must think I'm important! It's Friday, and I'm in my office. I think that I might be the only one left at the University. I walk the halls. Emptiness. Vast, labyrinthian unused spaces. Darkened offices. I think I might see the occasional office worker, but they might just be mirages...or perhaps ghosts. I go to the Union office, yet there is no answer when I knock. Am I paranoid? Is there some significance with the Union office being deserted on a Friday afternoon? I go down one floor. The third level of University Hall has the best echoes. It's like being in an ivy-covered Grand Canyon. I go out to the green. Still deserted. Ghost campus. Save for the occasional tumbleweed and circling vulture, I am alone. Did the railroad move, leaving the town's occupants to pull up stakes in the middle of the night? Space aliens kidnap everyone? Or was the life I thought I was leading only a dream? Am I the only one left? Has my world become a Twilight Zone episode? For all of my friends in BG, I will be at the Black Swamp Arts Festival quite a bit this weekend. As my wife volunteered me, I will be working somewhere in the beer area Saturday from noon to about two. I will of course be visiting both Friday and Saturday night...I gotta see The Derailers and Chuck Prophet. Please, come drink with me! Don't make me feel like I'm alone! For those who have departed from BG...doesn't this make you miss the town just a little? Sometimes the simplest of decisions can influence you in ways you never thought, and they often can stick with you longer than you would expect. My first job was as a (ahem) "Asphault Pigmentation Application Specialist"...which essentially means I worked for a company which painted lines on parking lots. It was hard, hot work...Florida summers on freshly laid asphault do not make for a comfortable work day. The boss was one of those "speedeat so we can get back to the jobsite" types...a nice guy, but he didn't exactly need his morning coffee to get going. So it was long hours in miserable conditions. The pay was mighty nice, though. Apparently the boss got tired of people goofing off, so he made the snappy decision to pay his workers by the job rather than by the hour. After that, everybody worked like dogs on amphetamines, and I would pull in $300 for a weekend's work. This cash went largely to cars and guitars...that is, the cash that didn't go toward partying. When the summer was over, the work dried up. So, after a little while of no income, I started looking for a job. The only problem was that I was a young heavy metal kid with long hair (this was the eighties, after all) and very few places would hire me...and I couldn't see chopping the hair for minimum wage. A friend worked at Little Caesar's Pizza, and they didn't make you chop your hair...so I got him to pick me up an application. I ended up working at Little Caesars on and off for nine and a half years...throughout my community college days, through parts of my "one semester break" (which turned into a few years), and right through getting a BA and an MA. By the time I left, I could do the job in my sleep...and often did. There were controversies. I got fired from one company after the manager's cousin got promoted...which would have been more bearable, but the boss lied to me (told me the "powers that be" ordered my termination), and it all went down after I was in a bad car accident. So, injured and jobless, I tried other jobs including loading trucks and a disasterous stint doing temp work (remind me to tell you about the one where they wanted me to kill rats with a broom handle with a nail on the end). All the other work sucked so badly that I got a job at the other Little Caesars franchise in town and worked there, on and off, for a long time. While management, I yelled at a lot of teens. I hired and fired. I drank with my superiors. After a while, I became a little bit of a "problem solver" for the company...they would send me somewhere when a store needed "cleaned up." I would yell, cajole, and generally train the little buggers to do things right. Somehow, I was able to get crews to move from hating my guts to really liking me yet still doing their job better than ever. One store in particular, no one would talk to me for about two weeks. When I left a few months later, they baked me cookies. By the end of my pizza run, I was down to just working a couple of morning shifts a week. I could get into work at 9:30 and have all of the day's prep work (sauce, dough, cheese, all done fresh) finished by the time I unlocked the doors. I would then take care of customers for the lunch rush, fix myself a pizza, and read for school. I only left because I needed to come to Ohio for my Ph.D....otherwise, I have the striking suspicion that I might still be doing a few days there. It was actually really sad when I found out the chain has pretty much left Jacksonville...both franchises folded. Anyway, my time at Little Caesars influenced me in more ways than I care to think. When I taught Intro to Sociology for Terra Community College, most of my examples of group hierarchy and behavior came from Little Caesars. Those kids learned almost as much about pizza as they did about Sociology, and they would audibly groan when I would try to slip in another example. More elementally, my teaching style is very close to my management style...a nice mixture of scary and quirky. It seems to work. I still get to my jobs 15 minutes early, just like I did at Little Caesars. I also learned how to deal with others from a leadership position by interacting with my pizza makers. So in many ways, Little Caesars made me the man that I am. I think about the place more often than I probably should. I even dream about it. This morning, my alarm went off in the middle of a dream about a Little Caesars workers reunion, and I spent my time in the shower wondering which of the 13+ stores at which I worked was my favorite...and I still can't figure it out. Casset was good, but Beach Blvd. got to be really family...and then there's my first Orange Park store. I also wonder what happened to all the fun people I worked with. Where's Willie, the monsterously tall and very sweet black man who joked about tearing down the Statue of Liberty and putting up a statue of Shaka Zulu? Terry, the very funny and cocky Lee High School tight end, who I once got to sing along to the Misfits, thus thoroughly confusing our manager? What about Paul and Paula from Orange Park...are they still together? Jim and all the rest from Beach, who made me feel like a friend...do they still repeat my mantra "a clean station is a happy station"? The dramatically short and funny Wendy from OP? Gina, the short Carribean girl with the heavy accent? The hundreds of others whose names I unfortunately cannot remember? In many ways, Little Caesars did a whole bunch to shape me into the person that I am. I wonder what would have happened if I would've chopped the hair and went to McDonalds. Would I still be where I am today?